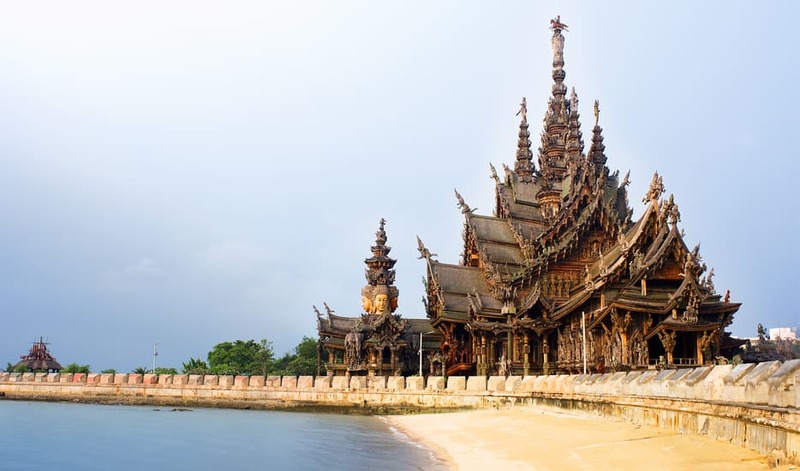 Phuket, Pattaya & Bangkok: The most popular holiday destinations in Thailand. 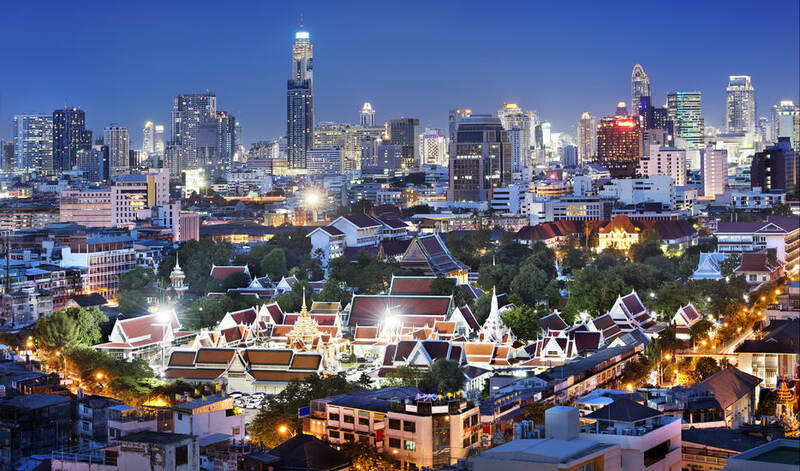 Bangkok is the capital and a cosmopolitan city, which will enthrall with its amazing attractions. 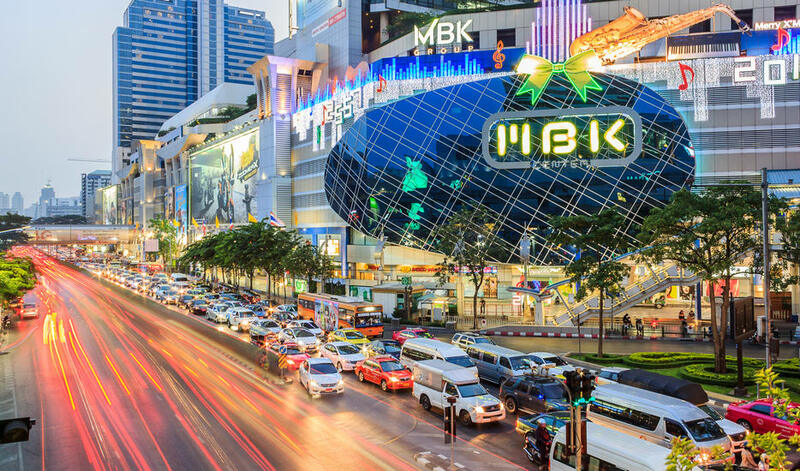 Shopping in Bangkok is famous all over the world, and no one misses it. 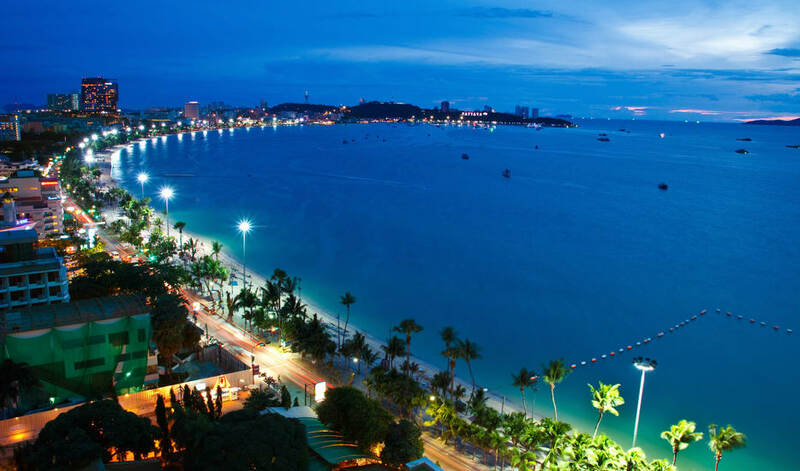 Pattaya, with its dazzling night life and beautiful beaches is sure to leave you mesmerized. Get on this holiday with us, and we promise you the time of your life! Phuket's great advantage is that there's always something to do on and off the island, whether it's raining or shining. From the sublime to the seemingly profane, the range of activities and places to visit is remarkable for a destination of this size. Le Fenix Sukhumvit is perfectly located for both business and leisure guests in Bangkok. The hotel has everything you need for a comfortable stay. All the necessary facilities, including free Wi-Fi in all rooms, 24-hour front desk, luggage storage, Wi-Fi in public areas, car park, are at hand. Each guestroom is elegantly furnished and equipped with handy amenities. Entertain the hotel's recreational facilities, including fitness center. 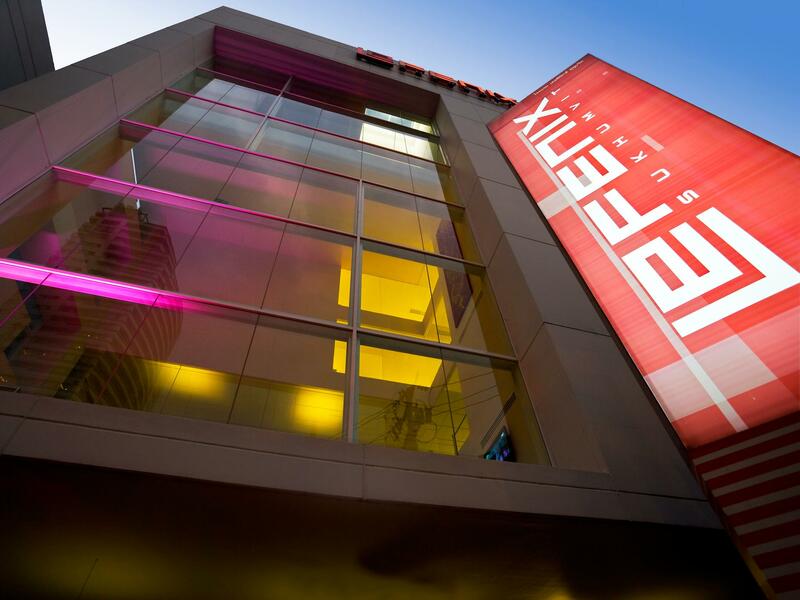 Discover all Bangkok has to offer by making Le Fenix Sukhumvit your base. Baramee Resortel is perfectly located for both business and leisure guests in Phuket. Offering a variety of facilities and services, the hotel provides all you need for a good night's sleep. To be found at the hotel are free Wi-Fi in all rooms, 24-hour front desk, luggage storage, Wi-Fi in public areas, car park. Some of the well-appointed guestrooms feature internet access ? wireless, internet access ? wireless (complimentary), non smoking rooms, air conditioning, wake-up service. Take a break from a long day and make use of outdoor pool, spa, massage, pool (kids). Convenience and comfort makes Baramee Resortel the perfect choice for your stay in Phuket. Get transferred by SIC to Phi-Phi Island for a day-long fun tour. 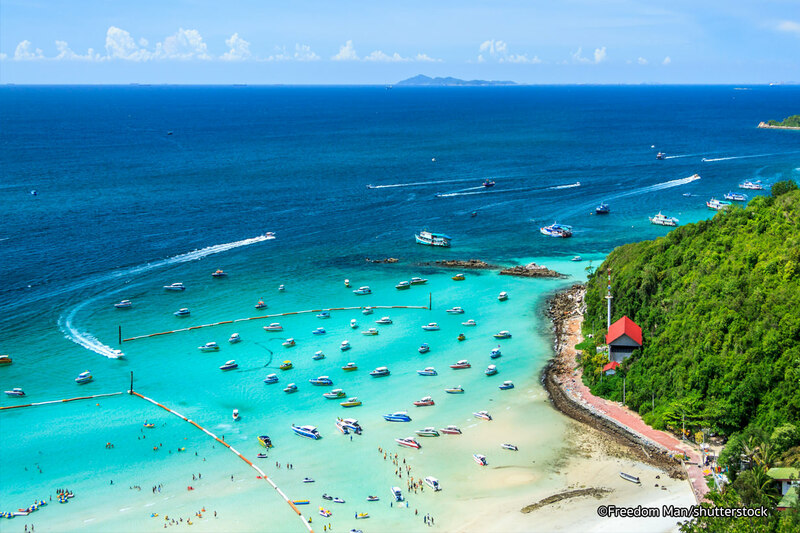 Phi-Phi Island is a popular spot for travelers who want to go on snorkeling and diving spree. Enjoy lunch at a local restaurant. 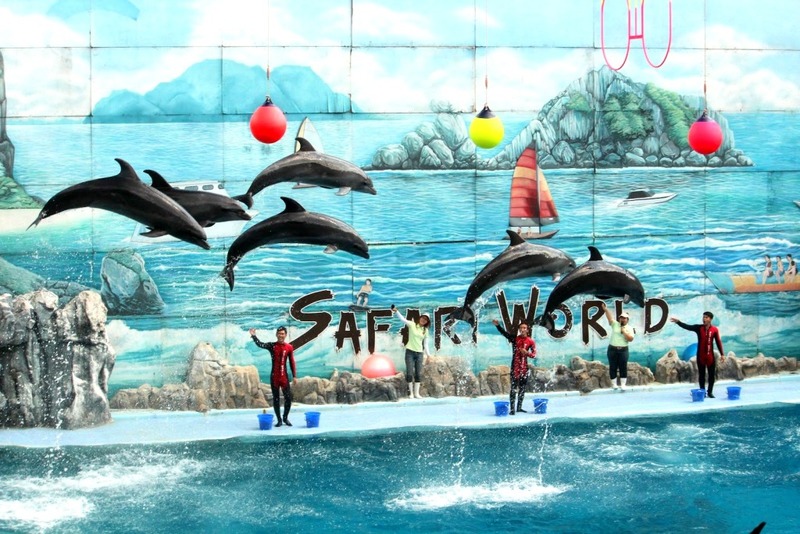 Full day safari and marine world tour with lunch. Breakfast at the hotel and full day safari and marine world tour with lunch. Upon your arrival in Phuket you will be transferred to the hotel. This day is free at leisure. You can opt for Phuket Fantasea this evening on extra charges. Phuket Fantasea Show is inspired by Thailand's rich and exotic heritage. Multitude of activities and entertainment: a Carnival village with games, handicrafts and shopping; a 4,000-seat theme restaurant offering a grand buffet of Thai and international cuisines; and a breathtaking Las Vegas-style theatrical show, where state-of-the-art technology and special effects enhance the grace and beauty of Thailand's myths, mysteries and magic in a wondrous extravaganza certain to delight the whole family. Overnight in the hotel. After breakfast, we proceed for full day tour to Krabi from Phuket. You will have lunch at Krabi. You will be transferred to Phuket in the evening by big boat. Overnight in the hotel. After breakfast, you will be transferred to the airport to board your flight to Bangkok. 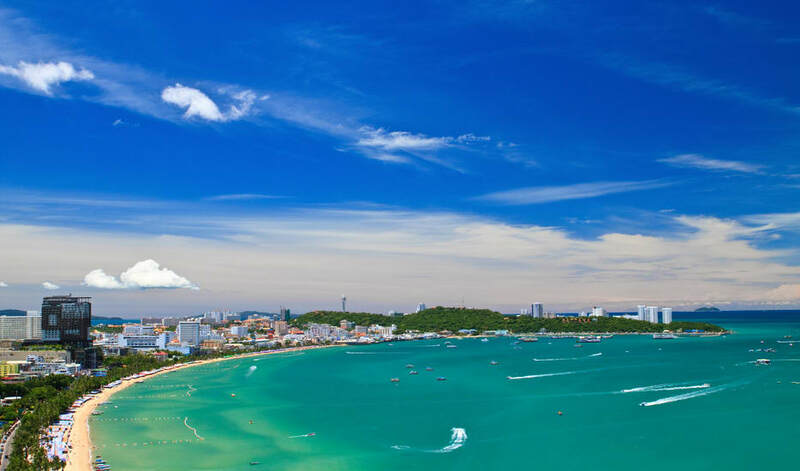 Upon your arrival in Bangkok you will be transferred to Pattaya, which is a short 2 hours’ drive from Bangkok. We take you to your hotel, and overnight at Hotel in Pattaya. After breakfast, you will transfer to the sparkling blue water of the Gulf of Thailand by a speedboat and arrive at the idyllic Coral Island (Koh Lan), where you will spend the day luxuriating under the welcoming tropical sun. You can lounge, swim, snorkel or simply enjoy the sun at the islands immaculate golden beaches. You all have the option of viewing the beautiful coral formations around the island either through a glass-bottom boat or by diving in. Upon your return from the island, you will enjoy a scrumptious Indian lunch. Coral Island tour on join/shared speed boat will stop for Parasailing for those who are interested. Those who are not interested in Parasailing will wait for the rest to finish the activity. In the evening, go for optional Alcazar Show. (at extra cost). The Alcazar Show a world-famous cabaret, which can give the Lido and Moulin Rouge of Paris, a run for their money, featuring a grand theatre with 1200 seats and thousands of watts of pulsating sound. Truly, a visit to the Alcazar Show could well become the highlight of your far-eastern journey. Overnight in the hotel in Pattaya. Travel tip: Don’t forget to carry your swimsuit, sunscreen and towel for coral Island. Today after breakfast, you will check out from your Pattaya hotel and proceed to Bangkok. 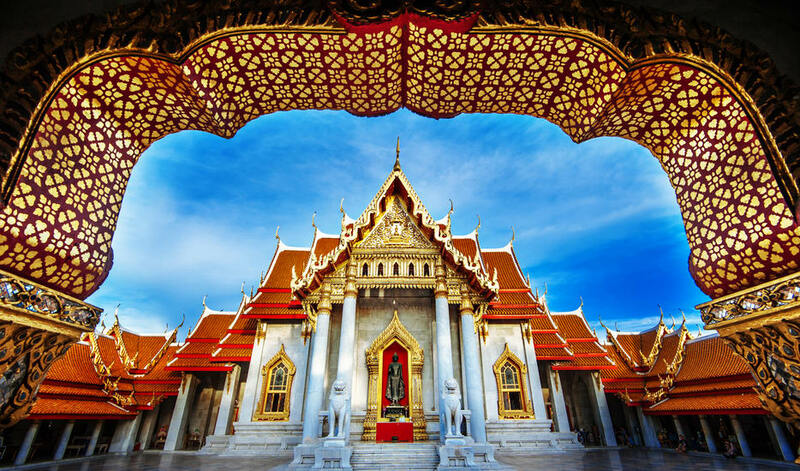 Bangkok takes great pride in a large number of fascinating temples around the capital. You will be checked in to your Bangkok hotel. In the evening you will have dinner cruise. Overnight stay at hotel.